As we draw closer to the iPhone X’s official reveal on Tuesday, September 12th at Apple Park, information about the anticipated device continues to leak online at breakneck pace. The new phone will also feature something called ‘Portrait Lighting,’ according to the recent iOS 11 leak. While it’s still unclear, Portrait Lighting will reportedly add lighting enhancements to the iPhone’s Portrait mode effect that creates DSLR-like depth-of-field photographs. Additionally, the iPhone X is set to include True Tone Display technology, a functionality that adapts the smartphone’s screen to the lighting in the room, that was first featured in the 9.7-inch iPad Pro. Resolution wise, the iPhone X’s OLED display comes in at a 1125 x 2436 pixels, according to the new leaked firmware. It also looks like rather than the iPhone 8 or iPhone Pro, two previously rumoured names for the upcoming iPhone, Apple intends to call the new device the iPhone X. The other iPhone names are iPhone 8 and iPhone 8 Plus. Another leak indicates the RAM of each of the new iPhones: 2GB of RAM for the iPhone 8, 3GB for the iPhone 8 Plus and iPhone X. As for the camera, the iPhone X will feature a 12-megapixel sensor that can capture 4K videos at 60fps. For slow motion enthusiasts, the iPhone X will reportedly be capable of recording Full HD 1080p video at 240fps. The front-facing camera will be a 7-megapixel shooter and can record videos at 1080p in up to 30fps. Face ID is referenced multiple times in the leaked iOS 11 firmware and seems to be the official name for the phone’s new facial recognition unlocking feature. A leaked setup animation (seen above) shows off how iPhone X owners will need to move their face around for the smartphone’s front camera as Face ID scans it. Apple’s new animated emoji are rumoured to be called ‘Animoji,’ and seem set to be animated versions of popular emoji already found in the public iOS 11 beta. These Animoji will reportedly utilize the iPhone X’s new facial scanning technology to adapt the animations to user facial expressions. iOS 11 describes ‘Animoji’ as “custom animated messages that use your voice and reflect your facial expressions,” in the firmware. The initial Animoji reportedly available at launch include monkeys, cats, dogs and, as you may have already guessed, a pile of poop. 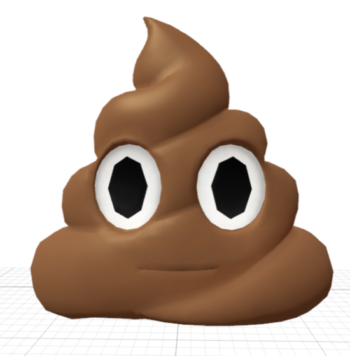 So yes, it seems possible that the next version of iOS 11 will allow you to create an animated poop emoji based on a scan of your face — what a time to be alive. We’ve known for a few weeks that the iPhone X features a near bezel-less display, but until now it’s been unclear how the phone’s Status Bar will work with an edge-to-edge screen. The leaked iPhone X firmware indicates that animations will give users status bar information on either side of the screen beside the cut out for the front-facing camera. The left-hand side of the status bar will list time and location information, with the right side featuring Wi-Fi connectivity, cellular signal strength and an all-important battery life indicator. 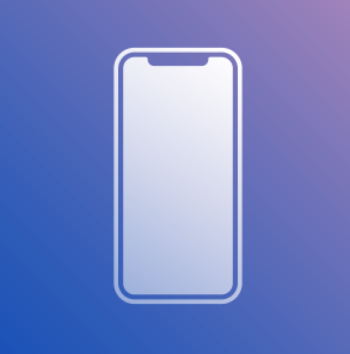 Information like Bluetooth connectivity will appear briefly in an animation on one side of the notch, backing up earlier reports that the iPhone X’s status bar will be contextual in specific situations. Apple’s AirPods are set to be subtly updated, with the only major change being a charging indicator on the outside of the wireless earbud case. A leaked animation (seen above) shows off the new design and the headphones look nearly identical to the previous version of the AirPods. For more iPhone X and Apple keynote rumours, check out our comprehensive roundup.